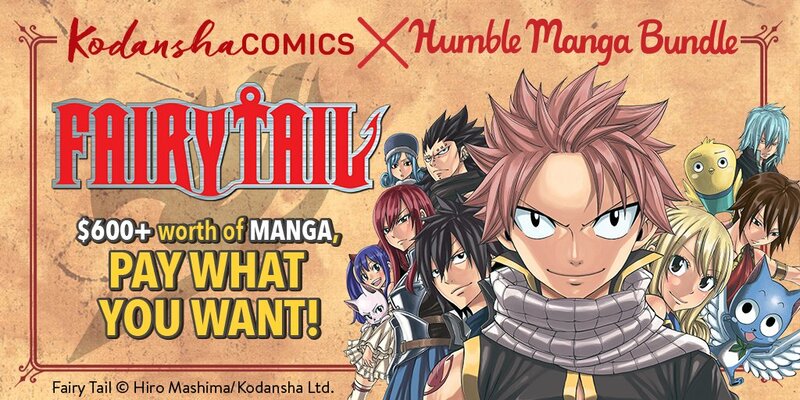 As per usual Humble Bundle fans will be able to “pay what you want!” in order to receive a selection of content; in this case digital manga. 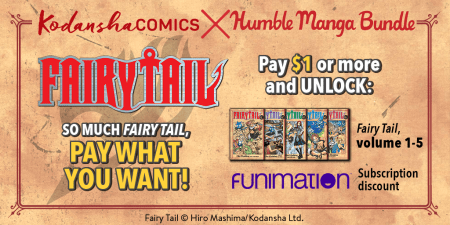 Those who pay $1 or more will receive Volumes 1 – 5 of the Fairy Tail manga (in digital form) as well as a 1 month subscription to FUNimation NOW streaming service. 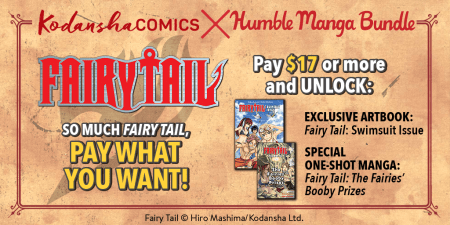 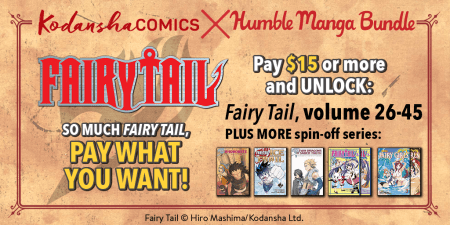 Those who pledge more will receive additional Fairy Tail mangas with the top tier, which is priced at $18, contains forty-five manga volumes as well as a selection of side-stories and spin-offs such as Blue Mistral and Fairy Girls. 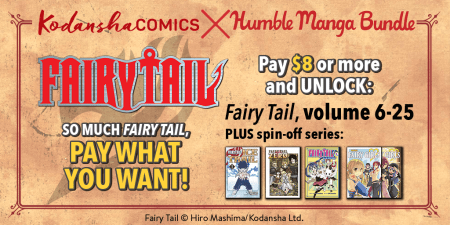 This special bundle will be available until the 5th July 2017 and further details surrounding this Humble Bundle, as well as the charities it will help, can be found on the official Humble Bundle Website.